China's mobile maker Xiaomi launched its first gaming smartphone Black Shark in April this year. 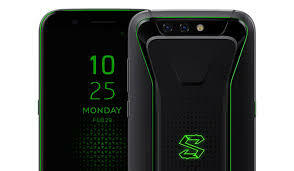 In a recently leaked report, it has been claimed that the upgraded version of Black Shark Black Shark 2 will be launched on October 23. After the leak report, Xiaomi has also confirmed the launch date. The teaser poster has been posted on the Weibo official account of Black Shark. At the moment, the poster has not been screened by the name of the smartphone. But according to TENAA listings and Genbank, Shaomi's next gaming smartphone could be called Black Shark 2. After launch on October 23, the handset can be made available in the international market soon. BlackShark's Global Website has gone live, then it is likely that the company will start the registration process after the launch. According to Tina's listing, the 5.99-inch display in Black Shark 2 can come with full HD + resolution. Like the previous model, Black Shark 2 also has 4,000 mAh batteries for power backup. The Black Shark 2 smartphone can come with Qualcomm Snapdragon 845 processor and 8 GB RAM. The Adreno 630 GPU can be used in the handset for graphics. This smartphone can be equipped with Liquid Cooling Technology for a better gaming experience. The price of Black Shark 2 is not leaked, but remember that the starting price of Xiaomi Black Shark starts at 2,999 Chinese Yuan (Rs 31,100). This price is of 6 GB / 64GB variants of the phone. At the same time, if you choose 8 GB RAM and 128 GB storage then you will have to pay 3,499 Chinese Yuan (Rs 36,300). Black Shark 2 has also been listed on the Geekbench. The phone is listed with the AWM-A0 model number. Its single score is 2403 and the multi-core score is 8389. The device has been listed with Android 8.1 ORIO. Snapdragon 845 processor and 8 GB RAM have been used in this.